The Goldfarb Foundation has been committed to providing the highest level of continuing education courses for podiatrists for more than 45 years. We also offer educational study aids for those preparing for Board Certification or Recertification. Our Patient Information Pamphlets (PIPs) are a valuable resource for any practice and cover such topics as Diabetic Foot Care, Bunions, Heel Pain, and Ulcers. The Online Lecture Library is your resource to quickly earn CE Contact Hours and prepare for your Boards. 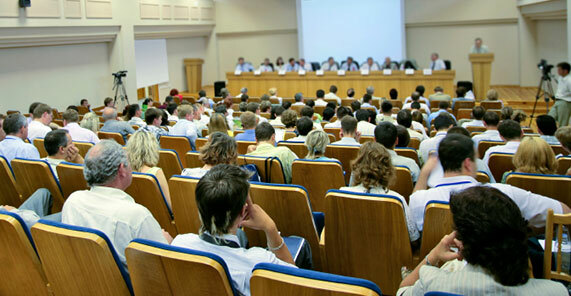 To enhance the knowledge of all persons with regard to the profession of podiatric medicine by and through the presentation of educational seminars, production of scientific papers,funding and conduct of research, and presentation of information relative to any aspect of the medical sciences in general or podiatric medicine in particular. Available June 1 for those taking their certifying exams in the fall of 2019. The Goldfarb Foundation is approved by the Council on Podiatric Medical Education (CPME) to provide continuing education contact hours. 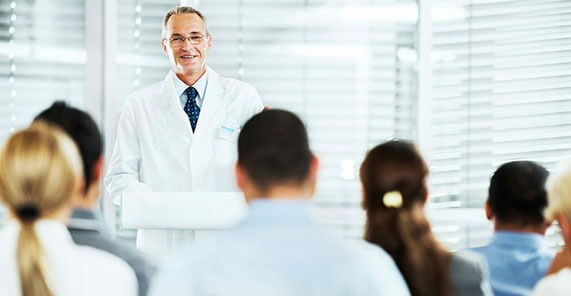 All of our in-person meetings and individual online lectures are CPME-approved. With our CPME approval, the Foundation offers a variety of in-person courses around the country which range from 12-28 CE Contact Hours. Our Online Lecture Library offers lectures from .5 - 1.5 CE Contact Hours. It is the participants resposibility to know their state licensing board's requirements for accepting CE Contact Hours earned in an online format.